This is the story of Josie and Liam, high school sweethearts and unconditionally in love. Planning to marry one day, then Liam leaves with no warning and doesn't look back. 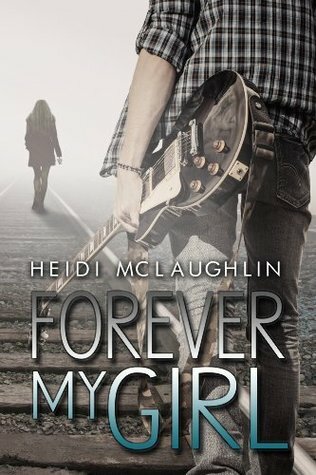 He leaves his life, his love and his future behind to chase his music dreams in L.A, while Josie is left in their small town to wonder what went wrong and why he walked out on her. After a tragic accident 10 years later, Liam returns. He has lived a lonely, but successful life. He now has to face the love of his life and is determined to make her his girl again. It was entertaining but shallow. Characters are somewhat likable, but the storyline just posed too many questions. Well written, but incredibly unrealistic. I think fans of Molly McAdams will enjoy this.